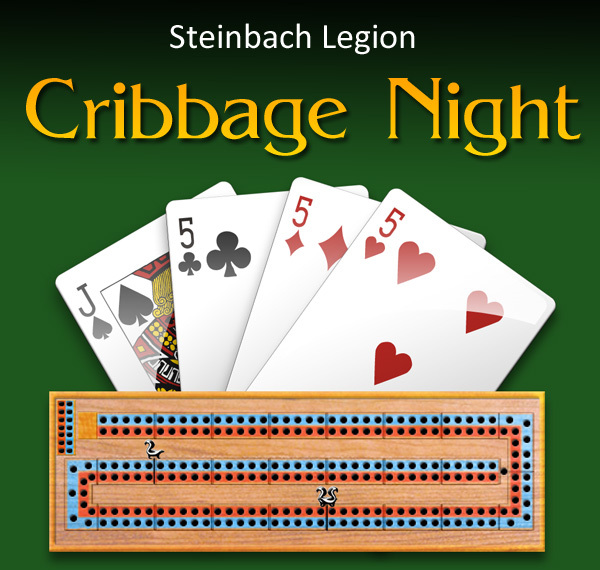 Everyone is welcome to come out for a fun evening of cribbage. Registration begins at 7:00pm and card play will begin at 7:30pm. Cost: $5.00 per person (snacks and light lunch provided). Prizes for high and low scoring teams.